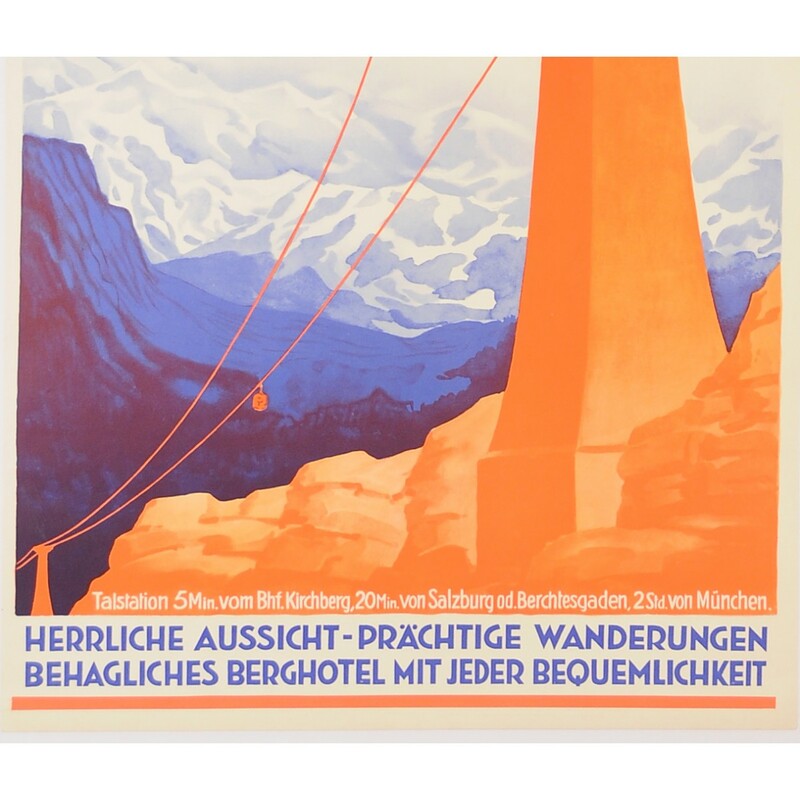 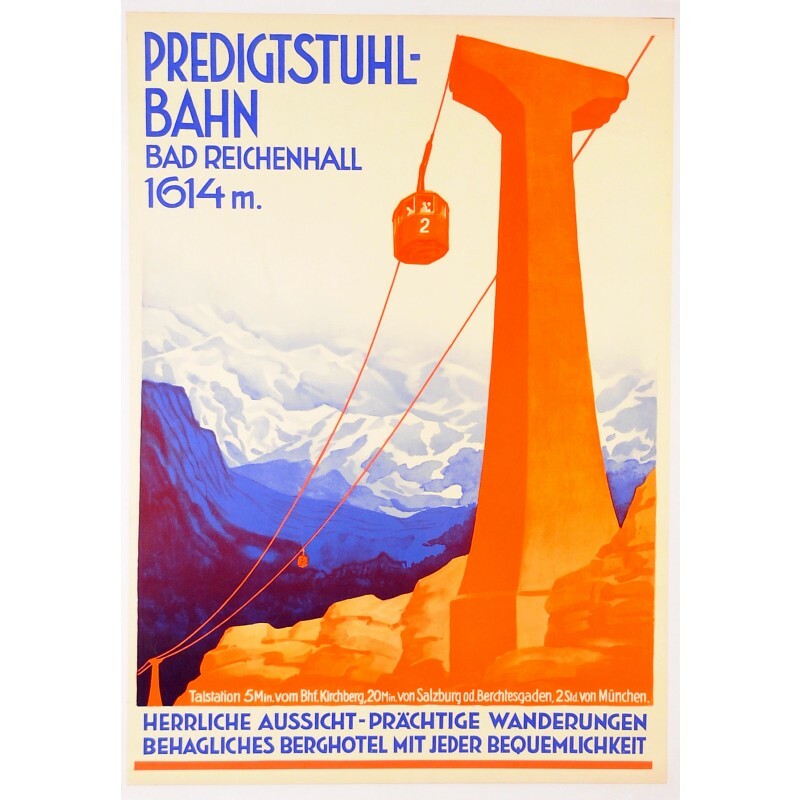 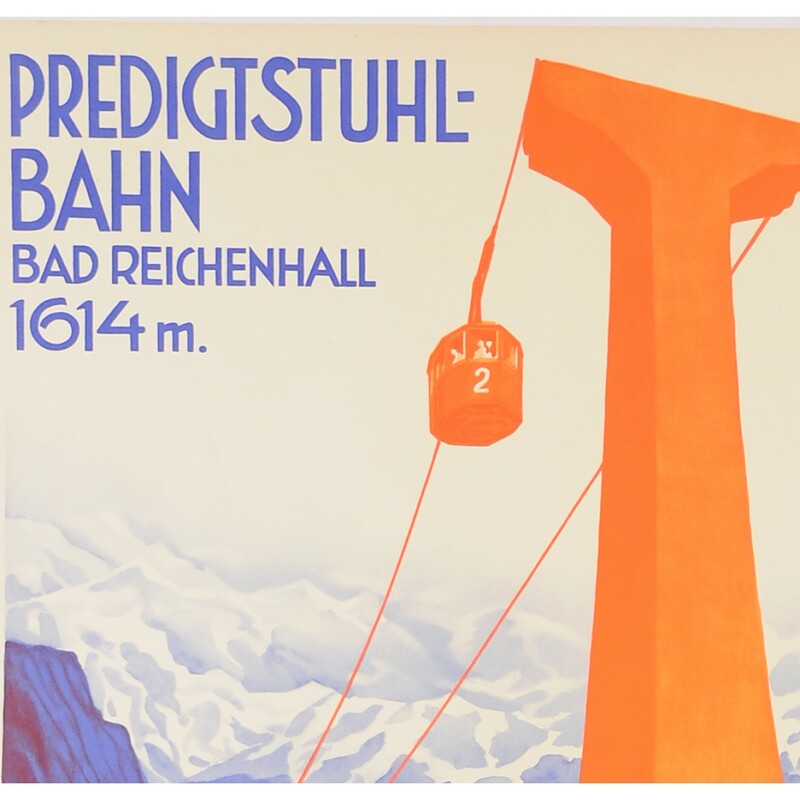 An advertisement for the The Predigtstuhl cable car in Bad Reichenhall, a spa town in Upper Bavaria, Germany (a 2 hours drive from Munich). The cable car reaches an elevation of 1614 metres (5300 ft). As the caption tells us, one can enjoy gorgeous views, easy climbing, as well as a comfortable mountain inn with full amenities.